Arsenic (As) is a natural element that can be found in soil and minerals. It is a semi-metal element and is odorless and tasteless. Arsenic is toxic and potentially a carcinogenic (cancer causing). Prolonged exposure to arsenic can cause health problems even death. Effects of arsenic exposure include thickening and discoloration of the skin, stomach pain, nausea, vomiting; diarrhea; numbness in hands and feet; partial paralysis; and blindness. 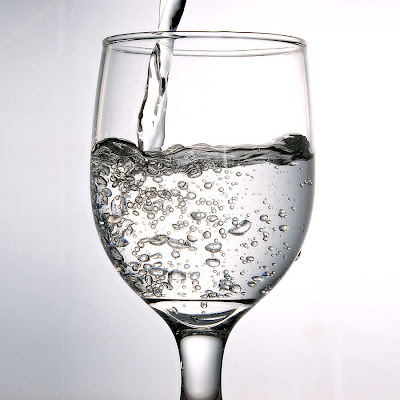 Arsenic has been linked to cancer of the bladder, lungs, skin, kidney, nasal passages, liver, and the prostate. Organic and inorganic forms of arsenic can be found in soil and ground water. Because of this, small amounts may be found in certain food and beverage products. Arsenic-based pesticides were commonly used in United States agricultural production up until 1970, when more effective substances became available. Even after the ban, residues from use of these pesticides have settled into the ground and soil. As a result, trace levels of organic and inorganic forms of arsenic can be detected in some agricultural settings, which may lead to small amounts of arsenic in certain foods and beverages. Arsenic enters drinking water supplies from natural deposits in the earth or from agricultural and industrial practices. There are also reports that brown rice, apple juice and chicken meat may also contain high levels of arsenic. Millions of people worldwide are exposed to arsenic from contaminated water, and we are all exposed to arsenic via the food we eat. New research published in BioMed Central's open access journal Nutrition Journal has demonstrated that people who ate more dietary vitamin B12 and animal protein had lower levels of arsenic (measured by deposition in toenails). Total dietary fat, animal fat, vegetable fat and saturated fat were also all associated with lower levels of arsenic, while omega 3 fatty acids, such as those found in fish oil, were associated with increased arsenic. Long term exposure to high levels of arsenic is known to cause skin lesions, cancer and cardiovascular disease, and also affects foetal development. Even low concentrations of arsenic are potentially dangerous. Arsenic is found in some water supplies, but more people are exposed via their diet. Staples such as rice contain arsenic, especially the toxic inorganic forms, while fish, although high in total arsenic, contains organic forms which are thought to be less toxic. Inside the body arsenic is methylated to aid excretion in urine but arsenic also has an affinity for keratin and can be deposited in hair and nails as they grow. Consequently levels of arsenic preserved in nails or hair can be used as a biomarker for arsenic exposure over periods of months to years. Researchers from Dartmouth College and the Geisel School of Medicine at Dartmouth looked at the levels of arsenic in toenails of residents of New Hampshire who all use private groundwater wells as their household water source. Results of the study showed that arsenic in nails was positively associated with both alcohol and omega 3 fatty acids, however, lower levels of arsenic were found for people who ate greater amounts of vegetable and animal fat. Prof Kathy Cottingham, who directed the study, explained, "While there may be a direct interaction between fats and arsenic preventing absorption or binding to keratin in nails, the results may simply reflect dietary preference, with people who eat a diet rich in fats not eating foods high in arsenic, such as rice." Joann Gruber, who led the study, noted that, "Humans can be very efficient at removing arsenic from the body. Improved methylation reduces the amount of inorganic arsenic circulating in the body. Surprisingly, we didn't see a reduction in toenail arsenic with other dietary factors known to be necessary for arsenic methylation such as folic acid. This may be because the population we sampled had adequate amounts of these factors in their diet." The authors are currently working on similar studies in children, through the Children's Environmental Health and Disease Prevention Center at Dartmouth.